In Part 3 of this series, we examined the importance of the role of the Substance Abuse Evaluation. In this fourth part, we’ll look at the other part of the required documentation that must be submitted with the Substance Abuse Evaluation when a License Appeal is filed, the Letters of Support. The DAAD requires at least 3 Letters of Support, and asks for a maximum of 6. While submitting at least 3 Letters is the procedural minimum, a person can submit more than 6, although that’s not necessary. We’ll examine that shortly. In a very real way, the Substance Abuse Evaluation is the most important evidence submitted because it primarily addresses the most important issue before the DAAD: That the person’s alcohol problem is likely to remain under control. The other main issue before the DAAD in a License Appeal is that the person’s alcohol problem is under control, which basically means that they haven’t consumed any alcohol since “X” date. The primary evidence in that regard are the required Letters of Support. This means that the most important purpose of the letters of support is to confirm that the person has not consumed any alcohol since “X” date. This can sometimes present the first challenge. Not all Letter writers will have known the person when they were drinking. Say Don the Driver quit drinking after his 2005 DUI, and one of his Letters is from Co-Worker Carl, who he has known since he began working at ABC Corporation back in 2009. Carl cannot vouch for Don not drinking in 2006, 2007, or even 2008. All Carl can say is that since he met Don in 2009, Don has not consumed alcohol in his presence. And that’s fine, at least to a point. If Don was my Client, I’d use Carl’s Letter, but I’d also want a Letter, or Letters, from those who knew Don at the time he stopped drinking. This is where experience matters. What if Don moved out of state in 2008? Sure, his family can vouch for his turnaround then, but they’ve only seen him a few times a year since his move. As much as Carl cannot attest to what Don did back in 2007 and 2008, the family really cannot vouch much for anything after that, except on those few occasions where they’ve actually seen Don. Instead of getting caught up in a formula for the Letters, I work with the Client to procure a group of Letters that come together to create a complete picture. Thus, if I were Representing Don, I’d get Letters from his friends and family about his decision to quit drinking, and how they observed him get Sober. I’d make sure those Letters detailed the changes in his personality, and how, when they speak with him, and how when they think of him now being gainfully employed at ABC, and living on his own, they know he’s still Sober, because the Don with whom they speak is clearly the “new” Don, and not the old one. Then, we’d combine those with Letters from people where he lives now, such as co-workers and new friends that explain that, although the writer didn’t know Don at the time of his last DUI, they’ve ONLY known his as a non-drinker, and would go on to speak of how Don is not just a non-drinker, but a Sober person, as well. Of course, there’s a lot more to it than that. However, I have found that the only way to get the Letters in proper shape is for me to work extensively on them, editing and revising them, until a clear picture emerges that fulfills the needs of the DAAD in terms of the information it wants and the degree of specificity it requires. When I have crafted a final product, it will be sent to the Client for review, and, if they approve, then they will get it finalized, and signed and notarized. Sometimes, my editing involves crossing out lots of useless information. As much as the Letters need to say certain things, there are plenty of things that are often first included within them that are not only unnecessary, but can be counter-productive. The DAAD will then discount Larry’s Letter because they will correctly conclude that Larry never had a clue Don had a problem, and still doesn’t understand that Don really did, beyond having been told so by Don. How can Larry really offer any accurate insight about Don? Worse yet, if the DAAD thinks Larry is “minimizing” Don’s past, then what’s to say he wouldn’t try to help his friend out in any way he could, including, perhaps, an exaggeration about Don’s not drinking? If Larry is seen as “minimizing” Don’s past, then his credibility is destroyed, and his Letter isn’t worth the paper it’s printed on. Another common error in the procurement of Letters of Support is the inclusion of too many Letters from AA people. If a person attends AA, and has a Sponsor, then a Letter from that Sponsor should be included. Sometimes, a person in AA will attend meetings in different places, and may even move to a home group that is different from the home group of their Sponsor. Thus, a Letter from another fellow AA attendee is fine. However, 3 Letters from fellow AA people do little more than substantiate that the person attends AA, and, implicit in that, is that they do not exhibit any signs of drinking while there. The DAAD specifically instructs a person filing a License Appeal to provide Letters from a “cross-section” of people with whom they interact. Thus, a good plan would center on providing Letters from someone who lives with the person Appealing, and someone with whom they work, and a Letter from friend or friends with whom they socialize, and family member who know, either by direct, personal observation, or by other indirect evidence, that the person is not drinking. Adding an AA Letter or 2 is helpful, but should not be the basis of the evidence submitted in the Letters of Support. Beyond making sure that the Letters of Support talk about the person’s abstinence from alcohol, I have to make sure the various dates are consistent, or at least are not inconsistent. Thus, if Driver Don sends me 4 Letters for editing, and one indicates that he last had a drink at a Christmas party in 2005, while one from a family member indicates he last drank at the time of his 2005 DUI in July, we have a problem, and one that WILL result in a Denial of Don’s Appeal. Any dates either need to be consistent, or at least NOT inconsistent. Thus, in Don’s case, one Letter may say he last drank at the time of his July 2005 DUI, and another might say that since his last DUI about 6 years ago, the writer has not seen Don drink, and yet another might indicate that the writer has only known Don for 3 years, but in that time, they have never observed him consume any alcohol. It may sound trite, but shoring up these details is a large part of what the Lawyer is paid for. When viewed together, the Letters of Support and the Substance Abuse Evaluation should create a fairly complete picture of the person’s transformation from drinker to non-drinker, and should offer a clinically and truly accurate Diagnosis of the stage of their drinking problem and, most importantly, the likelihood that they will remain Sober for the rest of their life. As I pointed out earlier, the Letters of Support are the primary evidence that the person’s alcohol problem is “under control.” The Substance Abuse Evaluation is the primary evidence that the person’s alcohol problem is “likely to remain under control.” Each of these two pieces of documentary evidence serves a different purpose. In fact, taken together, there is a kind of natural “bleed” or crossover from each to the other. Again, helping develop this is a fundamental and important part of the Lawyers job. If I do my job correctly, this “bleed” will occur rather naturally. Here’s what I mean. Although the Letters of Support will focus on the writer’s observation of the person Appealing NOT drinking (and, by the way, an important part of how I instruct my Client has to do with the specific use of and difference between those descriptions of the writer having not observed the person drinking, versus the writer having observed the person NOT drinking. While I have never observed President Obama drinking, that doesn’t mean I’ve seen him NOT drink, either. On the other hand, I have specifically observed my Senior Assistant, Ann, NOT drink when we attended the wedding of someone in our Office), many will also detail the person’s commitment to Sobriety. 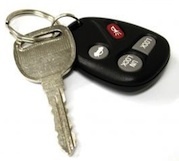 Parents or spouses may talk about driving the person to AA, or how they made sure their home was free of alcohol, or how they avoid consuming alcohol in front of the person, or how the person has grown as a result of getting Sober. While not directly relevant to simply observing the person NOT drinking, these other observations are relevant to the person’s commitment to remain alcohol-free. On the flip side, the Substance Abuse Evaluation may also detail the kind of lifestyle changes the person has made since they quit drinking. While this can take an almost infinite number of forms, often, the person will have gotten into a hobby, or started something like hiking or running or cycling or some such thing they rather clearly would have never been able to sustain back when they were drinking. Thus, a person who claims they quit drinking back in 2005, and who thereafter began getting involved in their children’s sporting activities, to the point of becoming a coach, or who has gotten into some sport of their own, will have, without trying, lent credibility to the idea that they have remained alcohol-free since their claimed Sobriety date. The ability to know what’s “good,” and what isn’t, when putting this documentary evidence together, is really the product of having handled hundreds and hundreds of License Appeals, and having read the decisions of the DAAD, both winning and losing, in order to know how those documents are seen and interpreted by the Hearing Officers who will be reading them. And that, to me, is as important as anything. It matters little how a stadium full of strangers would interpret a person’s Substance Abuse Evaluation and Letters of Support. What matters is how a Hearing Officer will. This is, in part, why I have EVERY case I handle set for a Live, in-person Hearing in the Livonia Branch of the DAAD. Having handled hundreds upon hundreds of cases before these same 5 Hearing Officers, I review the evidence from their perspective. I look for the mistakes or omissions that they will ultimately look for and find, and I make sure the Substance Abuse Evaluation and Letters of Support convey the information that they’ll be looking for. This is at the heart of the service I provide, as a Driver’s License Restoration Lawyer. It is this knowledge, based upon day-in and day-out experience, which allows me to guarantee I will win any License Appeal I accept the first time around. If I do not, I will continue my Representation of the Client before the DAAD until we do win. And believe me, I make my living doing it right, the first time, and NOT doing double work and having to go back again. However, I do think the Client should know that when they hire me, they’ll only pay me once to get their License back, and that in exchange for my Fee, they will. They don’t just plunk down a pile of money, and then hope all goes well, only to have to pay to do it all over again if something works out against us. In Part 5, we will look at what happens after the Substance Abuse Evaluation and Letters of Support have been filed, and what is meant by proper preparation for the Driver’s License Restoration Appeal Hearing. Then, we’ll move on to examine what happens at the actual Hearing.